This article contains features that are not compatible with your screen size or web browser. In terms of growth markets for satellite, cellular backhaul frequently comes up in conversations. Via Satellite reached out to a multitude of end users to see whether the demands for capacity in this market are as strong as the satellite industry hope they are, and whether it will live up to the hype. 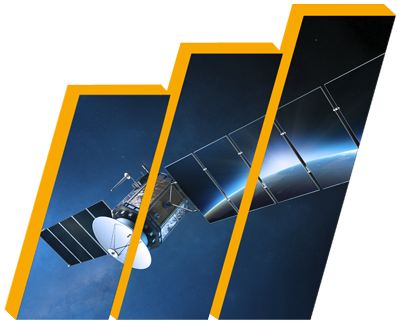 The advent of new propulsion systems, new players in the launch services market, and new technologies such as High Throughput Satellites (HTS), is allowing the satellite industry to improve its value proposition to its customers. These developments are opening up and expanding market opportunities particularly in cellular backhaul, which is seeing explosive demand on the back of high growth rates in 3G and 4G, according to global analysis firm Berenberg. Fuelled by the increased penetration of smartphones globally, which is leading a growth in Internet applications and data demands from mobile users across the world, emerging regions are becoming a gold mine for satellite operators to offer backhaul services. According to Northern Sky Research (NSR), Asia is expected to dominate the demand given the large population base and geographic coverage that requires satellite reach. The research firm forecasts Latin America to come in at a distant second, given the high levels of urbanization where terrestrial technologies can address the population base. While NSR says Sub Saharan Africa provides healthy opportunities as well for cellular backhaul, macroeconomic issues will likely restrain wireless operators from undertaking satellite-based infrastructure investments. Both satellite operators and telecommunications companies in these regions are taking notice. In this article Via Satellite zooms in to the end users of this capacity to assess the cellular backhaul market across these promising emerging regions. Maju Nusa, one of the main service providers in Malaysia, plays a key role in bringing telecoms services to remote parts of the country. The company is currently using about 220 MHz of which 100 MHz are dedicated for backhaul services over satellite. As a result of its Universal Service Obligation (USO) project with all the big operators in Malaysia, Maju Nusa is forecasting an increase in demand for satellite capacity. The project is aimed at bringing connectivity to the many parts of Malaysia that remain unserved with satellite playing a key role. Maju Nusa is counting on the availability of O3b Networks services to get an additional 432 MHz of satellite capacity to meet the demand for backhaul driven by USO requirements, Hashim adds. “Once the satellite backhaul capability has been showcased and its business case is proven, it will spill over into commercial requirements from our telco operators. Based on our experience now we are confident that satellite backhaul will gain acceptance by the telco operators,” he says. Maju Nusa currently has more than 500 remote VSAT sites serving a total of 15,000 users, mainly from rural areas. 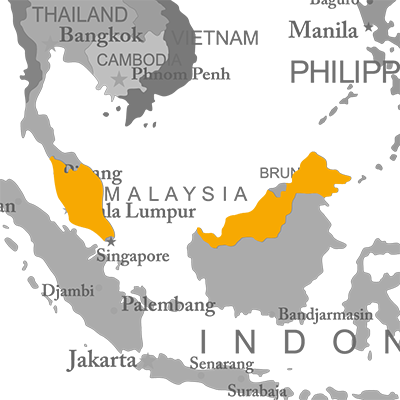 Demand has been increasing — and will continue to increase — year after year, mostly due to Malaysian government USO projects. Hashim says he expects the government to push out more services to the rural areas and estimates the demand will increase by around 150 percent over the next three years. And as cellular companies and telcos realize the potential outside of the main urban areas, Hashim says the opportunity for satellite will continue to expand in Malaysia. Digicel, which has operations in places like Papua New Guinea and Tonga, is another operator that has strong needs for satellite capacity for backhaul services. Due to the way these islands are set-up, the need for satellite-based backhaul services is strong. Digicel has around 2.6 million subscribers in the South Pacific and, since a lot of its markets don’t have full penetration, there is room for growth. Kyte says a lot of markets are still looking how to leverage mobile technology and the power of the Internet. “The South Pacific has largely been starved of access to bandwidth. An influx of bandwidth will give people the ability to see what benefits the Internet can bring in things such as e-medicine and education, etc. As we bring in more bandwidth and better speeds, we will start to see a strong uptake of service in the islands,” he says. But to do this, the telco will definitely need more capacity going forward. Currently, Digicel uses a “significant” amount of capacity on NSS 9, T-18 and IS-18 satellites for the delivery of its services and is now starting to work with O3b Networks. “Digicel has installed O3b Tier 1 4.5m terminals in Papua New Guinea and we are presently working with O3b to get the service up and running. A set of 2.4m O3b terminals has been installed in Samoa and we are currently working closely with O3b to get these terminals into play. O3b will deliver a significant increase in the bandwidth Digicel can deliver to the markets Digicel serves,” Kyte says. O3b's next tranche of four satellites is being prepped for launch at the Arianespace Spaceport in French Guiana. Liftoff is scheduled for July onboard the Soyuz launch vehicle. Arianespace also launched the previous four O3b satellites in June of 2013. Both Digicel and Maju Nusa in the Asia-Pacific region have contracts with the O3b Networks to use the satellites for cellular backhaul. The capacity will help the telecommunications companies to improve their services in remote regions of the countries where they operate, particularly Papua New Guinea, Samoa and Malaysia. In Africa, the demand for satellite-based cellular backhaul is also on the increase. According to Deepu Krishnan, senior consultant at Euroconsult, Sub-Saharan Africa is currently the largest market for cellular backhaul over satellite. With more than 5500 BTS sites estimated to be backhauled over satellite in 2013, Krishnan says Africa will represent roughly one-third of the global market. This increase of 3G services will affect how much bandwidth cellular operators in Africa need. Krishnan expects bandwidth needs to substantially grow in the coming years to potentially reach approximately 35 Gbps by 2023. In terms of hotspots for cellular backhaul services in Africa, Krishnan says the Democratic Republic of the Congo (DRC) represents the largest market in the region with an estimate of around 850 satellite BTSs, which represents approximately 25 percent of the total BTSs in the country. Other major countries for satellite cellular backhaul are Uganda, Sudan and now South Sudan, Angola, and Nigeria, with more than 200 sites estimated to be deployed in those countries, according to Krishnan. “Landlocked countries with sizeable populations and low mobile penetration represent good potential for satellite cellular backhaul applications,” he adds. In fact, telcos throughout Africa are looking to satellite to help them provide services to customers in rural areas. 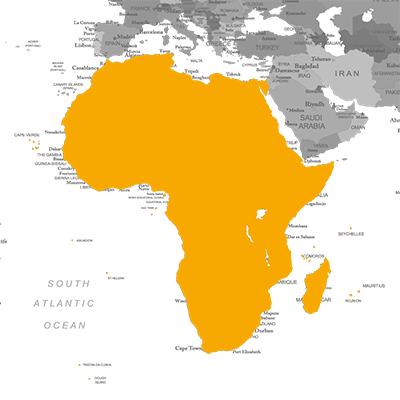 One such operator is Netone in Angola, a relatively small market by African standards. Alvaro Oliviera, CTO, Netone Angola says the operator has around 50,000 subscribers but, with the onset of LTE, it expects to be able to double this number — and with it, an increase in demand for bandwidth. 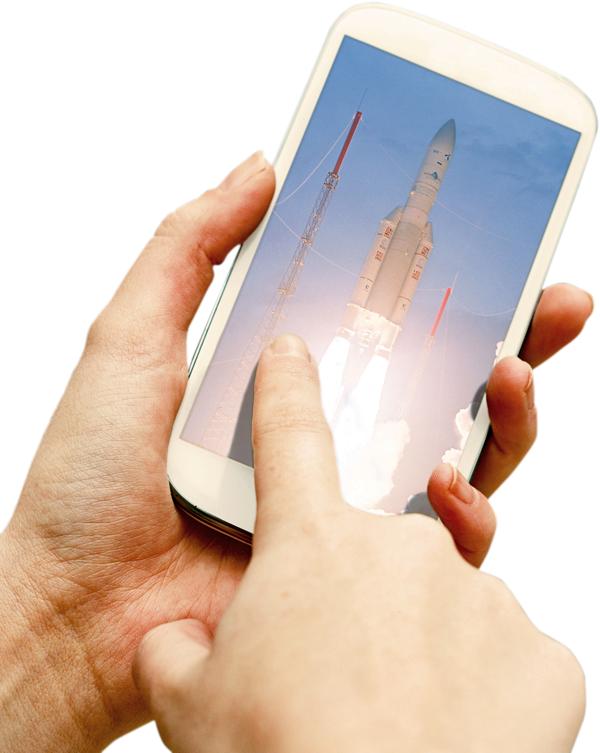 Satellite operators providing cellular backhaul around the globe rely on Arianespace. In the last decade, our record of more than 90 consecutive successful missions means Arianespace has played a greater role than any other launch company in bolstering uninterrupted cellular coverage. Operators the world over know how to launch smart. While Africa and Asia remain hotspots for satellite-based cellular backhaul, there is also strong potential in Latin America. Growth has primarily been driven by larger countries such as India, Brazil, and Indonesia, and, while Krishnan estimates Asia will be the fastest growing region, he expects interesting progress in Latin America as well. 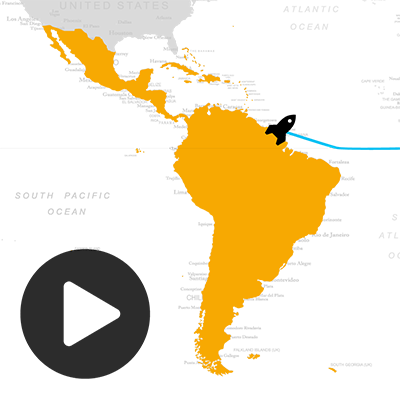 “Latin America should … see strong growth, primarily in Brazil, and with growth potential in the Andean region as well,” he adds. One of the main telecommunications players in the region is Telefonica, one of the biggest telcos globally. The company operates in 14 countries in Latin America with a total of more than 184 million wireless subscribers. The acceleration in smartphone penetration, which the operator says is more than 9 percent year-on-year, and mobile broadband access, which it says has been growing 60 percent year-on-year, will fuel Telefonica’s demand for backhaul services. The company is using mobile backhaul solutions in several countries such as Brazil, Peru, Colombia, México, Argentina, Ecuador, Venezuela and other countries in Central America. But the main challenges are about getting maximum speed by compensating round trip delay introduced by satellite links, while optimizing the use of the of satellite spectrum, according to Pedro Flórez Miñambres, technology and transport, IP network and interconnection planning manager at Telefonica. “We are working with major satellite providers in the region, and with major terminal equipment providers and providers of optimization capabilities,” he says. “With the growth mobile broadband customers in 3G and the ongoing deployments of LTE, traffic demand is growing and so do capacity needs,” he says. Miñambres says Telefonica is “investing heavily” to grow its backhaul capacity building fiber closer to base stations, deploying new high capacity microwave solutions in the last mile, and also increasing the satellite capacity it uses for backhaul. “Satellite is especially relevant to provide coverage on the move to vessels and cruises and aircrafts where we already provide solutions,” adds Miñambres. Telefonica is one of the biggest acquirers of satellite capacity in Latin America with a mix of Ku-, C- and Ka-band capacity. With the video and smartphone markets in Latin America changing, the company has to adapt in the backhaul market. “Sustained flows of video exhaust wireless access capacity (3G). Adaptive optimization of video is already part of the solutions we build to cope with it. Increasing capacity of radio (4G), increasing radio density (Small Cells) and growing mobile backhaul capacity is the high investment path we are following to develop this market,” comments Miñambres. Another service provider looking to take advantage of the increasing backhaul opportunity in Latin America is Mexican service provider Elara Comunicaciones. While the company has been providing backhaul services for more than three years for carriers in Mexico, Elara’s CEO Jorge Villarreal says they see the backhaul market continuing to grow, not only in Mexico, but also in other parts of the region. The company expects its demands for satellite capacity to increase significantly over the next three to five years. 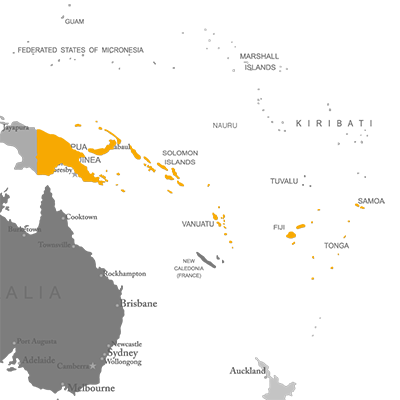 In fact, Elara also sees strong potential in some other markets such as Brazil, Colombia, Peru and Chile. The remote regions in these countries that are not easily reached by terrestrial networks present a good opportunity for cellular backhaul that Elara might seek to capitalize on, Villarreal says. “Even though the size of these markets is smaller, there is even less terrestrial infrastructure, and these are now interesting targets for the company,” he adds. In a number of markets in Latin America, where there is a lack of terrestrial infrastructure, people are now used to having 2G services but want access to better and faster data services, fuelling more demand. For a service provider, the backhaul market is one of huge potential. “The potential for the market is there. It will be important in the next three to five years for the satellite industry. The equipment and technology providers are here to provide more efficient systems to provide more megahertz for the money. But, I still think there is a road to travel, as these opportunities go from an early stage situation where we are now, to a more mature market. To get to a more mature market, you need to have more proven business models,” adds Villarreal. Another player looking to tap into the backhaul markets in the Latin American region is Telespazio. The company is currently working with cellular operators across the region to provide backhaul services. Pablo Recalt, regional sales director for Telespazio Argentina, says the company sees most opportunities in places like Argentina and the Southern Cone.